All manufacturers apply a unique Vehicle Identification Number for each vehicle. 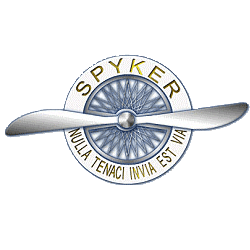 We already checked more than 33 Spyker Cars vehicles. Checking VIN you can find out: manufacturer, model, year of manufacture, engine type, factory manufacturing and remaining car specifications. You can also check whether the car was in an accident, theft, mileage, as well as use in a taxi and who is the owner.